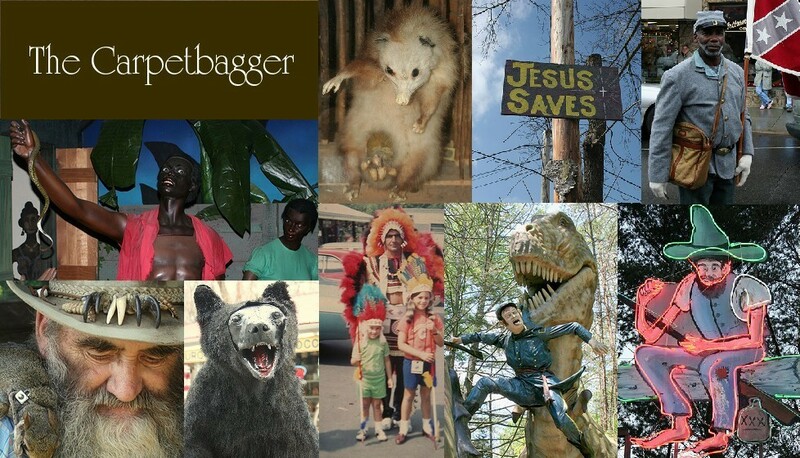 The Carpetbagger: New Carpetbagger Videos! I have a couple new videos over on youtube. The first video is my first ever food review, as I sample the hotdog/hamburger hybrid that is "The Most American Burger". I also take a trip to Myrtle Beaches most classic Kitsch-a-torium: The Gay Dolphin Gift Cove. Please subscribe to my on Youtube to be notified about new videos!